Nothing makes a vacation more successful than when the whole family spends time together. 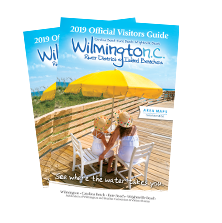 Wilmington and our island beaches offer many ways to keep kids of all ages engaged, excited and entertained while you create family memories. From adventures aboard river boats to steering a WWII battleship, a trip packed full of family fun for kids and adults alike awaits. 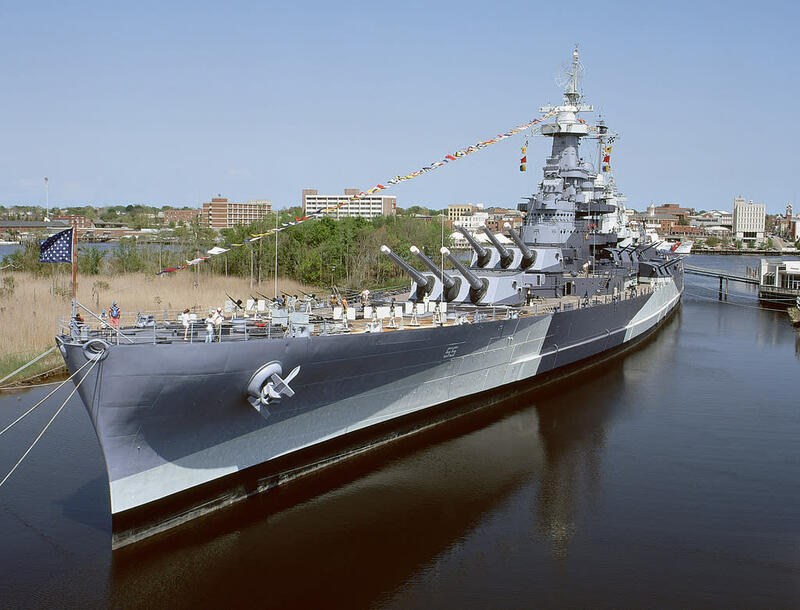 Take the kids on a history adventure they will never forget aboard the Battleship NORTH CAROLINA, a heroic ship that fought in every major naval offensive in the Pacific of WWII, earning 15 battle stars. Envision the daily life of the ship’s crew in 1942 with the whole family as you explore areas of the ship including the galley, engine room and more. Let imaginations run wild as the kids get hands-on by steering the ship, starting her engines or even firing the guns! There’s no shortage of things for kids to touch, see and do at Wilmington’s kid-friendly museums. 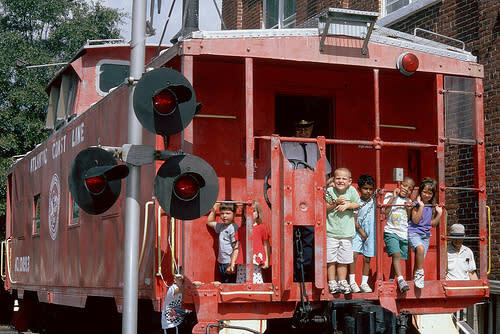 Kids can be a conductor for the day at the Wilmington Railroad Museum where they can learn about the history of the Atlantic Coast Line Railroad and explore a Thomas the Tank Train play area, see over 20 model trains in action or explore a life-size caboose, boxcar, and 100-year-old steam locomotive! Creativity comes alive at the Children’s Museum of Wilmington where children can learn about the arts, sciences, culture and more through hands-on exhibits and programs. The Cape Fear Museum of History and Science offers engaging exhibits for children year-round including the hands-on Michael Jordan Discovery Gallery and the opportunity to meet Wilmington&apos;s oldest resident, a 20-foot-tall Giant Ground Sloth! Beat the heat or escape the quick rain showers with a high-energy way for the kids and adults to play together. Let the kids have their thrill at Crossfire Indoor Paintball Park, North Carolina&apos;s only indoor paintball park, with low-impact paintballs and astroturf fields where weather is never an issue. Even the younger kids will be able to play Nerf Warz with close quarters combat. Older kids and even adults will enjoy living out a video game scenario at Battle House tactical indoor laser in a 10,000 square foot city-scape. 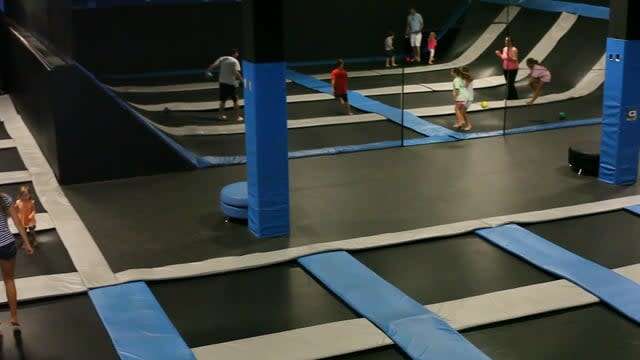 The whole family can jump into DefyGravity for high-flying trampoline fun including one of the largest trampoline dodgeball cages in America. Round the family up for an action-packed day at Jungle Rapids Family Fun Park, where there’s an attraction for every member of the family to enjoy. 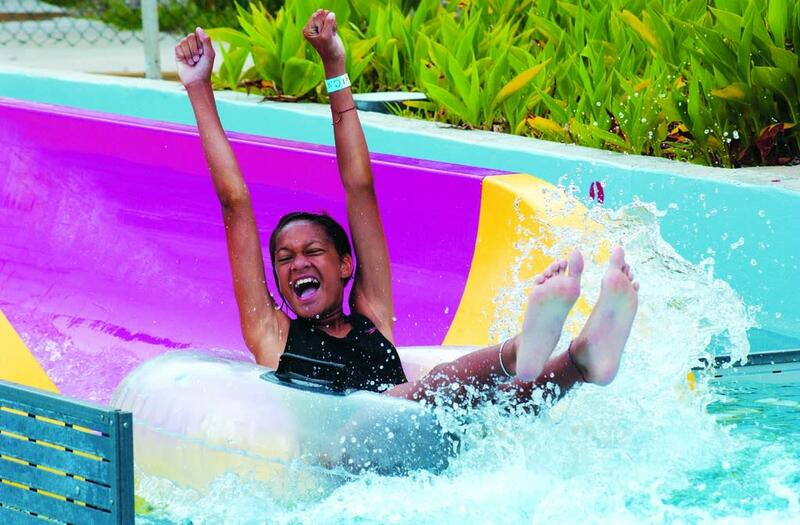 Make a splash with a trip to the water park which features a kiddie splash pool, million gallon wave pool, lazy river and fun-filled water slides including Volcano Mountain and the Side Winder. Face off in friendly competitions at Jungle Lagoon Golf, racing around the track at the Grand Prix Go-Karts or at the Laser Force Arena. The fun continues indoors with a climbing wall, the Kids Jungle indoor playground area, 100 arcade games and more! Nothing will make the kids feel like a captain for a day than hopping aboard one of the area’s many scenic and interactive boat tours. Cruise down the Cape Fear River and take in views of Wilmington from the water and try to spot river creatures in the natural habitat. 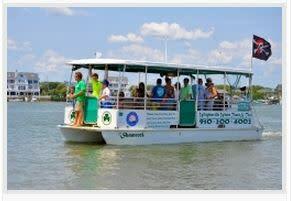 Experience southern hospitality and enjoy history mixed with adventure with Cape Fear Riverboats. Live the pirate life for the day by digging for treasure on Masonboro Island with Wrightsville Beach Scenic Tours on a swashbuckling adventure through the area&apos;s coastal waters. 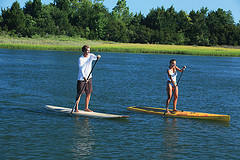 Grab a paddle and find a new family favorite hobby as you experience all the watersports opportunities the area has to offer. Try out one of the world’s fastest growing sports with a stand up paddleboard lesson, complete with personal flotation devices and suitable for all ages. Spend time in the great outdoors with a kayak trip through the Cape Fear River where you can explore scenic backwaters of the river and see beautiful wildlife up close. Catch a wave and learn how to hang ten with a surf lesson for the whole family. Challenge the family to friendly fishing competition and see who in the family can reel in the biggest catch with a fishing charter adventure. The kids probably won’t care that the Carolina Beach Boardwalk was ranked as one of the top 10 boardwalks in the country by Food & Wine magazine. Or that it made Budget Travel’s list of America’s Most Awesome Boardwalks and has recently been recognized by the likes of CNN, FOX News and USA Today. 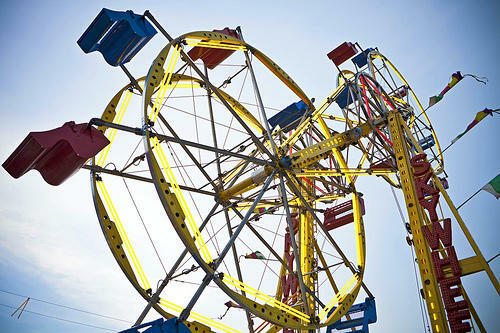 But they will notice the seaside amusement rides, classic arcade games, and fireworks that take place weekly during the summer.